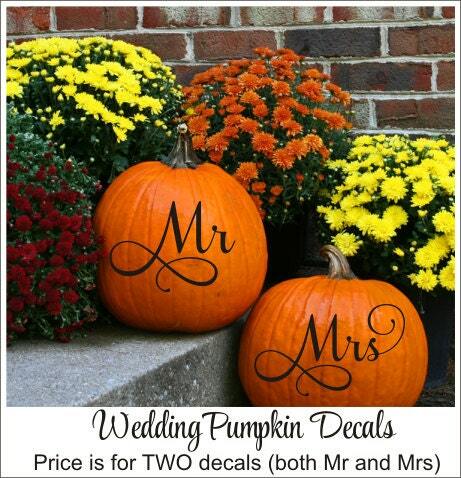 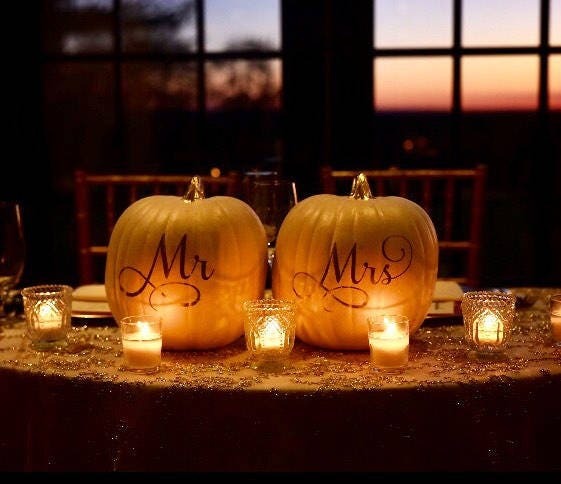 Our adorable Mr and Mrs decals are the perfect decor for your fall wedding! 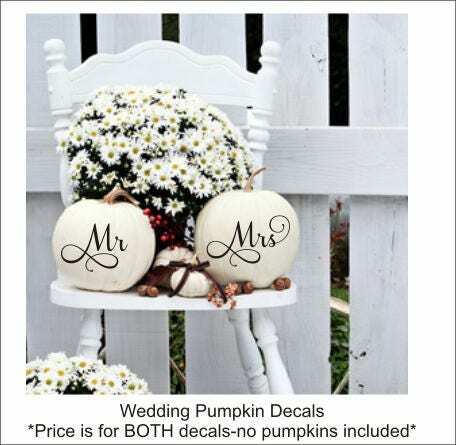 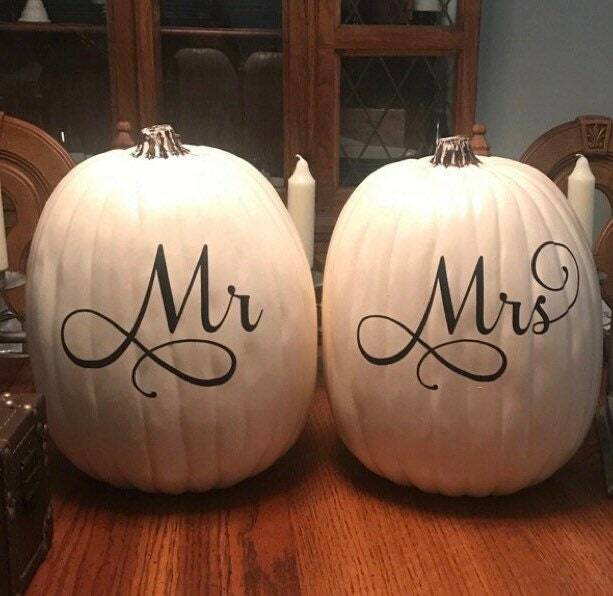 Apply these decals to pumpkins to welcome your guests to the church, ceremony, or reception! 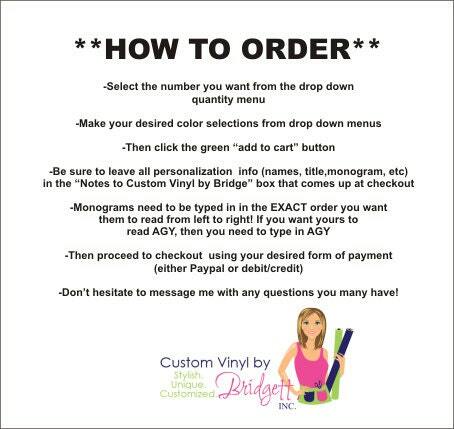 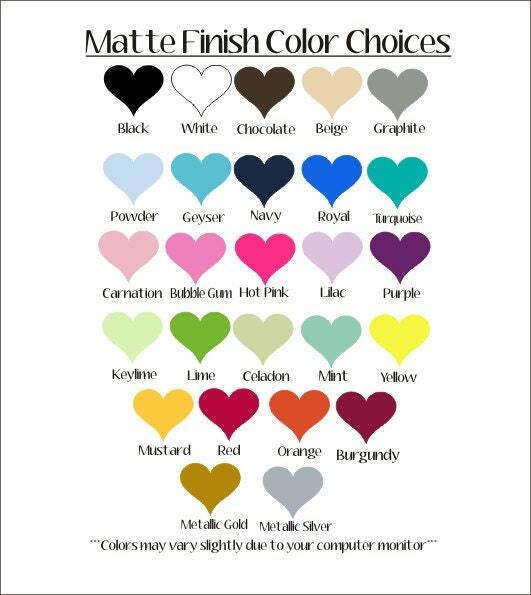 Please select desired size (height) and color from the drop down menu of options.